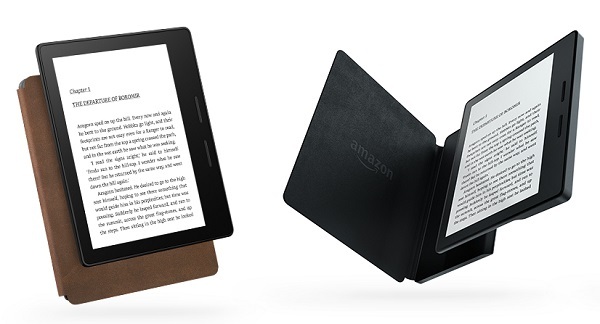 Amazon launches Kindle Oasis, its thinnest and lightest Kindle. Eight years ago, Amazon introduced Kindle, making it possible for the first time to think of any book and start reading it in seconds. Since then, Amazon has introduced new Kindle e-readers that are smaller, lighter, and faster-all on a mission to make the device disappear so you can lose yourself in an author's story. Today, Amazon took another step toward this mission: introducing Kindle Oasis-the eighth generation of Kindle-crafted from the ground up for readers, with an all-new, incredibly thin and light design, plus an included charging cover that delivers months of battery life.